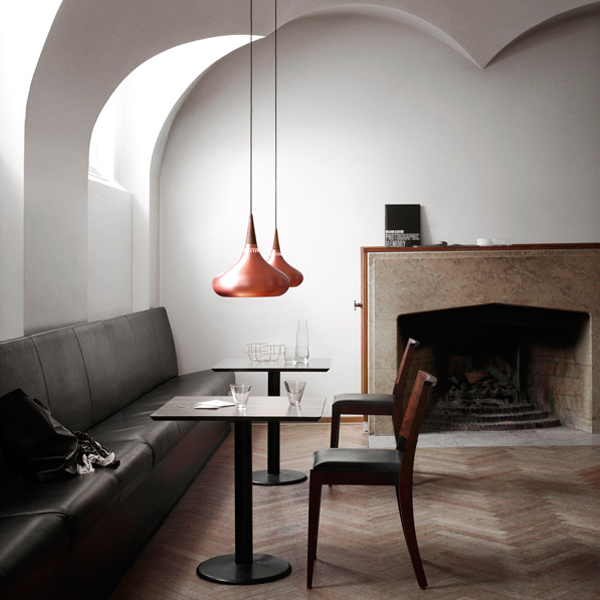 Jo Hammerborg designed the Orient pendant light in 1962 for the Danish lighting company Fog & Morup. 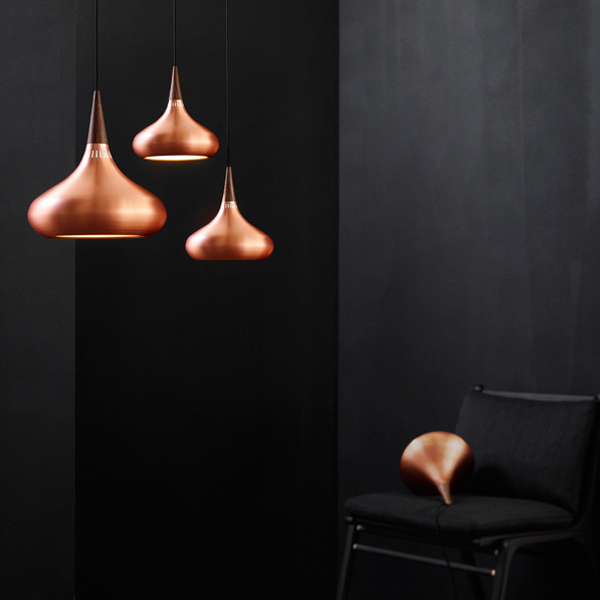 Fritz Hansen has chosen to relaunch Orient in close cooperation with the Hammerborg family. 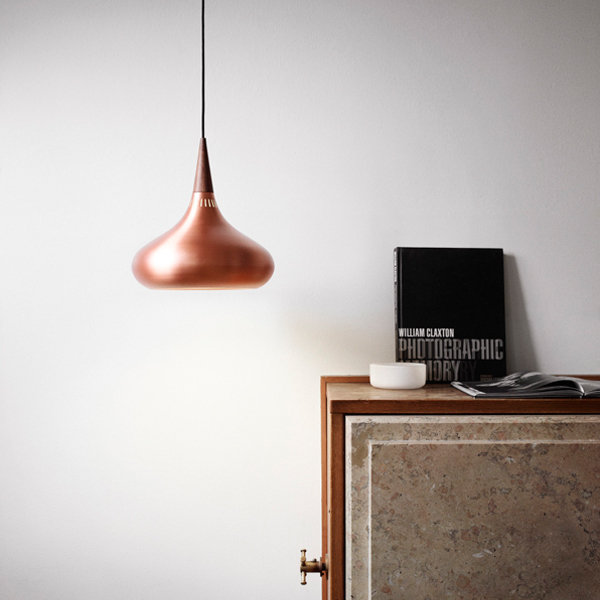 The Orient pendant is made from the finest quality materials: the shade is copper and the top is rosewood. 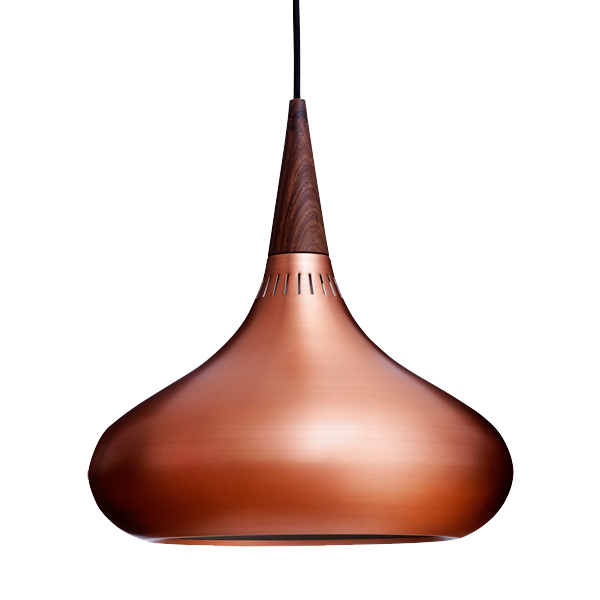 The rosewood's dark grain creates a natural connection with the tightly woven black textile cord. 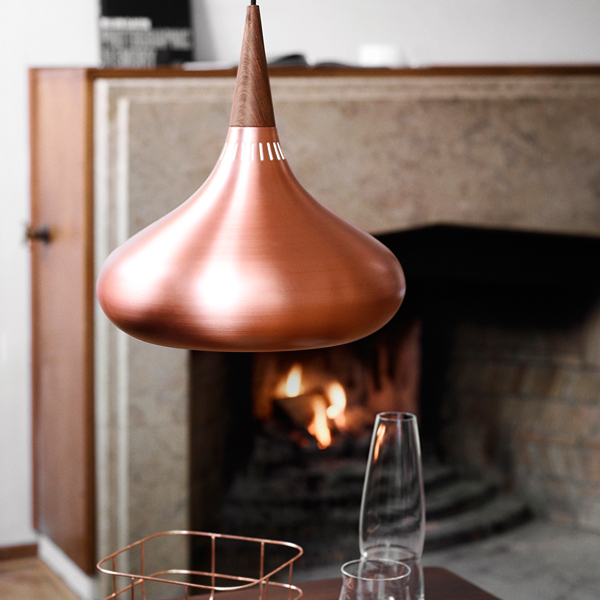 The lamp has 24 narrow, vertical slots at the top of the genuine copper shade that allow the light to filter through. The fitting elegantly conceals the low energy light source and ensures a soft, pleasant light without any glare.